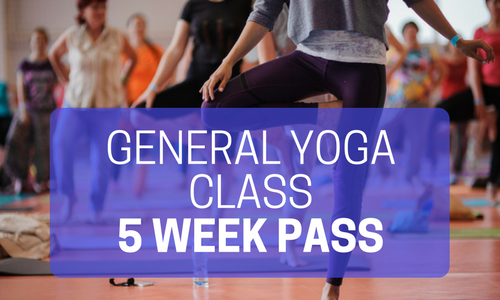 This 5 week Class Pass can be used for the one and a half hour General Yoga Classes. 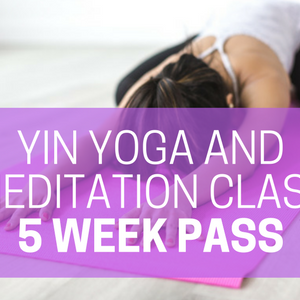 Each pass is valid for 3 months from the date of the first class it is used. Once you have made your payment, you will receive an email with a PDF file to download and print your pass. If you do not have a printer, you can pick up a paper copy from me in your next class. 1.Class Passes are valid for 3 months from the date of the first class used. 2. Class Passes are non-refundable. b) In exceptional circumstances, ie. prolonged illness or injury. 4. Divine Works reserves the right to use discretion in the case of granting extensions. 5. Once the expiry date has passed, you will not be able to use any remaining credits, unless an extension has been granted.